Young pine cones on pine tree branches. 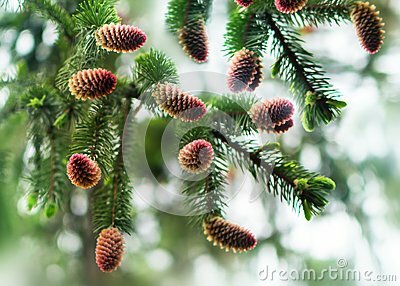 Natural blurred background with coniferous plant at spring season. Harvest of cones.